Inexpensive, durable, adjustable heat settings, and proven to hold curls have made Hot Tools so popular among ladies. 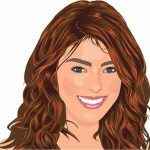 At the end of reading Hot Tools curling iron review, you will have in-depth information on their 7 most popular models which is already loved by thousands of ladies across the U.S.A. The following 3 recommended Hot Tools curling irons are recommended by huge hairstylists and more than thousands of happy ladies. Irrespective of your hair size and types, these below 3 are proven to give you waves and curls of your dream and can hold it for the longest time. 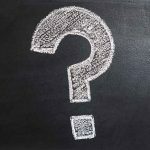 Now that you have my recommended most popular Hot Tools curling wands, it’s time to have the in-depth review on each of them. In addition to the above 3, I have included more 4 reviews of Hot Tools curling irons. All the information presented below is based on user’s feedbacks so that you get the real picture. This model has received more than thousands of hundreds of positive feedbacks from ladies across the U.S.A. It’s suitable for all hair types to have any sort of curls you want. Being the best Hot Tools curling iron, I will start Hot Tools curling wand review with this one. Whether you have long or short hair, whether you want loose waves or tight waves – it’s all happen to be possible! It’s available in 3 different sizes so that you can have your desired curls. Adjustable heat temperature has made it suitable for all hair types. So, whether you have fine hair or thick coarse hair, it’s a perfect choice for you. Just don’t forget to use any good heat protectant before using it to protect your hair. It’s so inexpensive but not ‘cheap’! You will get the exact same result which you would normally expect from really highly expensive curling irons. But this one won’t break your bank account but you will get a really good curling iron that will serve your really long long time. No hair pulling or burning hair issue as well! But you can still burn your hair with this iron if you choose the wrong temperature setting for your hair type. First, learn about your hair type and then select the right temperature. If you have VERY thick hair, choose the temperature settings from 330-380 degrees. For not so thick hair, lower the temperature settings. But what sizes you should choose? Well, it varies on various factors like the size of the curls you want and size of your hair as well. But the general rule of thumb is ‘The size of the curl is equal to the size of the barrel’. If you get the bigger barrel, you will get bigger curl size. So, if you have short hair, go for the small barrel and vice-versa. Extra-long cool tip featured 24K gold-plated barrel. Lowest & highest temperature range from 280 F to 430 F. Patented Pulse Technology ensures fast heats up to 430 F. Quick curling time in busy days. Separate ON/OFF switches with soft-grip handle. Available in 3 sizes like Big Bumper 1 ½ inches, Mega 1 ¼ inches, Regular ¾ inches. A great cheap Hot Tools curling iron with high-quality and long-lasting performance. Comes with 2 extra springs! 8 feet long swiveling cord, no more tangled power cord! To secure fine thin hair, you will love the clamp. Rubber covered tip to protect your hands while curling. Have incidence of sudden stoppage of heating up. If you choose the wrong setting, it may burn your hair. If you have thin hair, burning hair now and then is a common scenario while curling your hair. Besides, holding the curl for a long time is the desire of every lady. Hot Tools Professional 1181 curling iron is the solution you need. The result is something what you usually get from a professional salon. Often, we burn our hair and hands while curling. With the plastic cap on the end of the barrel will always protect your hands and the multiple heat settings won’t let your hair get burnt. If you have long and thick hair, your options become very limited. Why? Most curling irons won’t get heat up enough to give you the right waves and curls. Whereas most traditional curling iron does not have multiple heat settings, this one comes with multiple settings and the 24K gold-plated barrel with its highest heat setting can give you the right curls you always have been dreaming. Just like the previous one, model 1181 is a cheap Hot Tools curling iron, but not of cheap quality. Several ladies have been using it for years. And without any trouble! The heat is so tremendous that is really hard to find in a hair curling wand. But the good news is you can adjust the heat settings based on your hair type. What most women love about it is that it heats up so quickly! Also, it distributes heats evenly and the balance is really awesome. With swivel cord and well-weighted design, your curling experience can’t go wrong. 1” curling iron for all types of waves and curls. Suitable for every hair type and sizes. Comes with 2 easy to replaceable springs. Separate on/off switch with adjustable heat temperature. Heavy duty 8 feet long round swiveling power cord. No more tangled messy situation ever! Fast heat up and quickly reaches the top of 430°F. Use the highest heat settings only if you have long thick hair. Hairstylists recommended and used by professionals. Lots of ladies have verified that were several other brands have failed to hold their curls, this model proved effective to hold curls and waves. Already serving more than thousands for several years. The best value money can buy. After using it for several years, you will also say ‘Money Well-Spent’ like others! Not dual-voltage. So, if you want to use it outside the U.S.A. you must get an adapter. Have some incidents of not working after few months. Ladies having experience of 18+ years of using this model have bought it again. Why? Because of the same quality and consistent performance. Model 2110 heats up quickly and glides through the barrel and the clamp smoothly. The end result is gorgeous curls and waves of your dreams. So, without any confusion, you have recommended it to you. Do you have blonde straight hair? Then you do know that normally curls don’t stay for long. Well, you need a professional hair curler and Model 2100 is recommended by so many professionals. Girls having the same blonde straight hair type have confirmed their curls stays the whole day after using this model! And the waves last for 2/3 days as well. It is designed that way so that you can hold and maneuver it comfortably. Since it heats up so quickly and can make curls in no time, you will have your dream curls without spending much time. Model 2110 is a little bit different than other models of Hot Tools reviewed above. This model comes with ceramic coated plates so that you don’t fry your hair and your hairs don’t stick to it. It features rubber tip, so you won’t burn yourself as well. With long swiveling cord, you can style your hair hassle-free. And I must say, this model is a little bit expensive than Hot Tools other models, but it is highly recommended by experienced ladies because it is durable and effective. Tips: Take small amounts of hair to get the best result. Using small sections and holding the iron for almost 5 to 6 seconds will give you best result if you have heat-resistant hair. Since it comes in multiple sizes, so if you have medium-to-long length hair, choose the bigger barrel. Available in 7 sizes! Depending on your hair type and the nature of curls you want, choose from 1″, 1 1/2″, 1 1/2″ spring grip curling iron, 1 1/4″, 2″ spring grip curling iron, 3/4″ spring grip curling iron, Tourmaline Deep Waver. Pulse Technology to heat up the iron faster. Adjustable heat settings and the maximum limit is 430 degrees F. and the lowest temperature is 280 degrees F.
You will love the stay cool tip! Features extra hold constant high heat for long-lasting and consistent hold. Comes with foldaway safety stand and 8 feet long swiveling power cord. Will serve your for a very long period of time because of the heavy-duty long-life heating element. Comes with separate on/off switch. For thick but fine hair, this model may not work. At least that’s how some ladies have left their feedback. Does not hold much of a curl for some girls and the reason is totally unknown! Do you feel sad because you can’t have your dream curls and waves? Using below standard curling iron can lead to believing that your hair is not up to beautiful curls and waves. That may ultimately lead to plummeting self-esteem. The solution is, using the model 1181 from Hot Tools. The scenario discussed above is very real and lots of girls have changed the game using this model. I was encouraged to write the Hot Tools Gold curling iron review about this model because of so many high appreciations. If you have straight long hair, you do know how hard it is to hold curls for the whole day, right? But with Hot Tools model no. 1181, you can still have your desired curls and waves even for your straight long hair and for the whole day! Extreme heat and adjustable temperature settings have made it suitable for every hair type. Besides, Hot Tools curling irons are usually great-quality and this model is no exception at all. What most girls like about it is that it heats up and cool down so. Besides, you can adjust the heat and the handle is enough space so that even if you have bigger hands, still you will feel comfortable. Whether you are lefty or righty, it will be still comfortable for you. It’s so lightweight! As I said in the first, it’s an experience changer, especially if you have bitter experience of curls not holding up for long enough. Useful Tips: If you have really thick hair, you need to hold the iron for a couple of settings. And it’s always a good practice to start from the lowest heat setting. 1” barrel good for short to medium size hair. 24K gold plates. Emit hits consistently and evenly to the entire section of the hair. The electronic heating system can diagnose the heat loss and restore it back, so you get even heat always. Features soft-touch handle for your comfortable grip. Comes with 2 replacement springs. Separate On/Off switches with Indicator Light. Adjustable heat settings and the maximum heat can reach up to 430 degrees F and the lowest setting is 280 degrees F.
8 feet long swiveling power cord that will never get tangled. If you want to add volume and lift your hair, this would be a good choice. Experienced ladies and professional hair stylists recommended high-quality but cheap Hot Tools curling iron. In rare cases, have incidents of not heating up properly. No auto shut-off as usual. Having perfect curl or waves to the very thick and frizzy hair is somewhat difficult. If you have this sort of hair type, you will understand what I am talking about. There are not so many brands are available for this type of hair. No more frustration with thick and frizzy hair! Hot Tools Curly-Q iron is the one you need. It’s been verified and proved by lots of ladies having thick and frizzy hair that this curling iron can give the perfect curl you have been looking for so many years! A true game changer! Lots of ladies who have been using regular clamp curling iron switched to this! They just love it! Looking for beach waves? Have been disappointed with other curling irons for your fine very long hair? Well, guess what! This Hot Tools is exactly what you need. Girls with the same hair type have left their feedback saying now their beach waves last for 2 days! It comes with heat resistant glove. So, even you are new to this, there is literally no chance of burning your hands. Use with confidence. Tips: It’s a really powerful curling iron that can heat up to 450 degrees F. If you are not careful, you may end up burning your hair. So, before you get used to it, start from lower heat temperature settings. Size ranges from 1 ¼ – ¾ inches tapered curling iron. Most versatile is 1 ¼ inches. Especially if you have long hair and love loose curls, you will find it useful. If you have short hair, go for the short size. Short size will let you have tight curls. Faster heat up with adjustable temperature settings (280-450 Degrees F.). Perfect for every hair types. Comes with power indicator light with separate on/off switch. Curls stay long. Although it depends on what waves you like, using some sprays can give you best result. Many ladies with really thick hair have confirmed that the iron takes really short time to curl. Girls with pretty thin fine hair have confirmed that curls stay even after they get up from the bed! If you are a beach waves lover, look no further! Simple to use and if you totally new using any curling iron, you can do it! Just have some patience and start with the lower temperature setting. Have malfunctioning incidents after a few months. Even though there is the cool plastic tip, but being the same color of iron has made it a little bit confusing to understand. How about something totally different than conventional curling iron? If you are using Marcel for the first time, you may face a little hurdle. But once you get to the hang of it, all the conventional curling irons will seem slow & clumsy to you. You have nothing to worry. 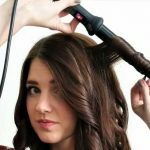 There are plenty of YouTube videos available where you can learn how to use the Marcel curling iron. I have also included a step by step video tutorial on how to use the Marcel and you will find it right before I discuss the features of the Marcel. As I said above, it’s totally different than spring-loaded irons but you will love the end result. It comes with tremendous heat with lots of adjustable options. You can have all the curls and waves you want and these curls stay really long! But it needs some practices. Without moving the barrel, you can spin the entire curling iron to get the perfect waves and curls of your dream. I am pretty sure you have seen these sorts of curling irons used by professionals. Well, now you can curl your hair too. The price is also pretty reasonable. Lots of girls have left their feedback saying they will never be back to their conventional curling irons. It is proven to last really long. Many have been using it for years. So, your investment in a professional curling iron is totally safe and the return is really awesome. Each day, you will get salon quality curly hairs of your choice! Tips: Don’t touch the tip of the curling iron. There is no rubber there and you will burn yourself if you touch it. Now, as I promised before, here is the tutorial video on how to use the Marcel. Comes with fold away safety stand. Features secure grips and soft handles. Variable heat settings which can reach up to 455 F. Features patented Pulse Technology to heat up faster. Worried whether it will catch & pull out hair? Well, there are no such incidents. Consistent heat from one curl to the next which lets you have the exact waves and curls you wish for. Natural looking curls and waves. After a little bit of trial and error steps, you will also become an expert hair stylist, especially for the curls. It’s more like of an addiction. Once you start using it, like so many ladies, you will also never go back to your normal curling iron ever! So many positive feedbacks and expert recommendations! Have incidents of sudden stoppage of work. And that’s the end of the Hot Tools curling iron review. How did you like it? Did you find it useful? 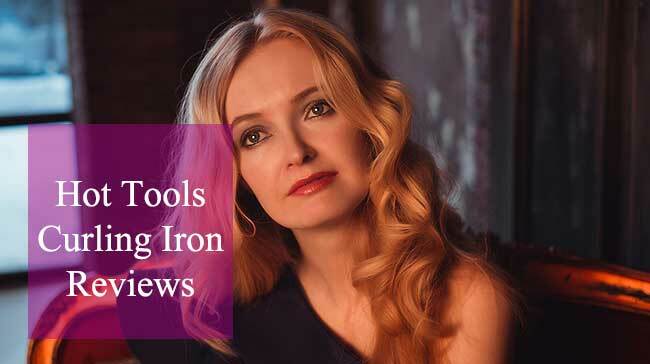 As you have seen from the above reviews, all the irons are from Hot Tools are suitable for every hair type. So, you should be okay if you get yours from the above comparison table. Let me if you need to know anything else in the comment box. If need to straighten your hair and love Hot Toos, read the Hot Tools flat iron reviews. Hot tools curling iron review covers 6 most popular model of the brand. All of their curling irons are proven to deliver desired curls and waves for every hair types.